On Sunday 8th April, the Greater Manchester Marathon took place in perfect conditions for the 9300 participants. There were 3 Toddies in action. 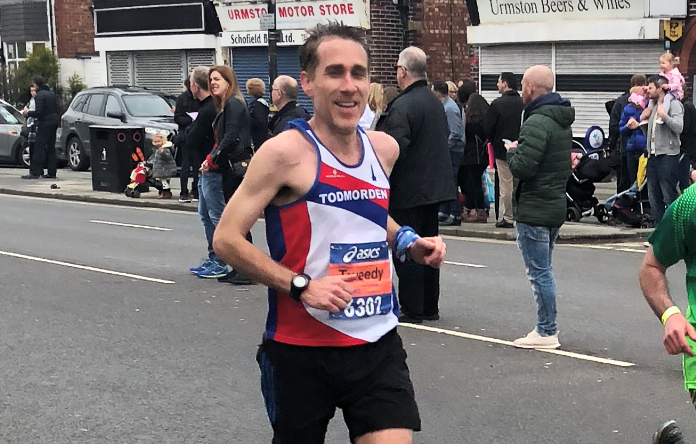 First Toddie to finish was Darren Tweed (pictured) on his marathon debut with a very impressive 3:13 to secure his Good For Age time for London 2019. Josh Murphy, also a debutant to the marathon distance put in a great display and came in well under the 3:30 mark with a time of 3:27. Ian Machlachlan also finished in a very respectable 3.44 for the club.